Are you rapidly losing weight? Do feel the urge to visit the bathroom frequently? Do you constantly feel thirsty and hungry? If your answer was yes to all the above questions, you must book an appointment with your doctor immediately and get your blood sugar levels checked. If you already have, you probably know by now that you are diabetic. Diabetes is one of the most common non-communicable diseases today, and the increased stress and harsh lifestyle are the root causes of the problem. It is possible that these factors have lowered the production of insulin in the body. It is also possible that the blood cells have stopped responding to the insulin produced. There are three types of diabetes – type 1, type 2, and gestational diabetes. 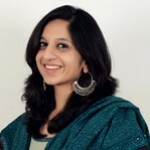 Whichever type it is, it is best to begin treatment at the earliest. But that is not all! Combining medication with yoga and meditation and following better lifestyle practices will further ease your situation. When you contract diabetes, you tend to gain weight, your blood sugar levels are high and insulin levels are low. Yoga regulates your weight and keeps your blood sugar and insulin levels in check. It flushes out toxins and improves blood circulation. Yoga also reduces stress. With regular practice, you can also reverse and reduce further complications. While physical asanas are extremely essential, mudras are equally or more powerful. They might seem like simple stances, but they invigorate the system and energize the body too. The Surya Mudra is also called the Sun Mudra. It is known to enhance the fire element in the body and generate heat – this means improved metabolism. With regular practice, you will see a reduction in weight and a decrease in sugar levels. You can practice this mudra while sitting in the Vajrasana for best results. 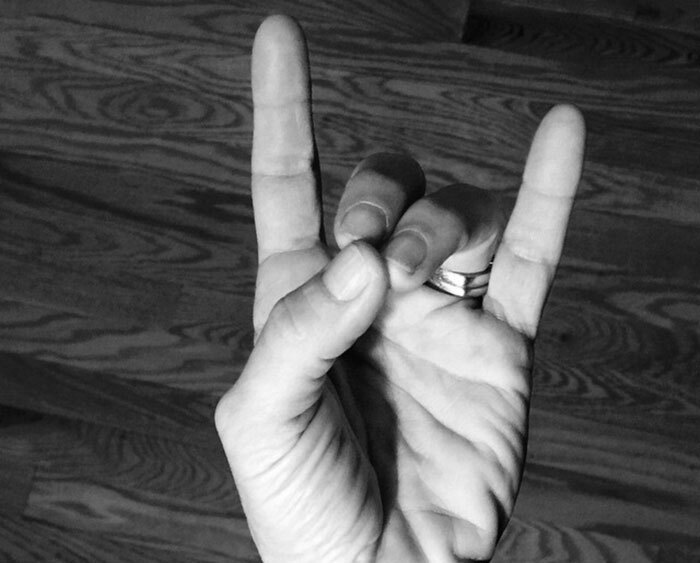 Practice this mudra by touching the tip of the thumb to the tip of the ring finger. Hold the mudra for a stretch of five minutes at once, and increase the time as you get comfortable. Three sets is ideal. This mudra is also called the Mudra of Life. It aims at improving the vital force of life while stimulating the Root Chakra. It is an extremely powerful mudra that empowers you from within. This mudra works wonders when you want to detox. When practiced with the Apan Mudra, it helps relieve diabetic symptoms. You can practice this mudra while sitting comfortably in a seated asana of your choice. You can also stand and practice this mudra. You must use both your hands while practicing this mudra. Touch the tips of your little finger and ring finger to the tips of the thumb and keep the index and middle fingers straight. Start by holding the mudra for five minutes, and increase the duration with practice. 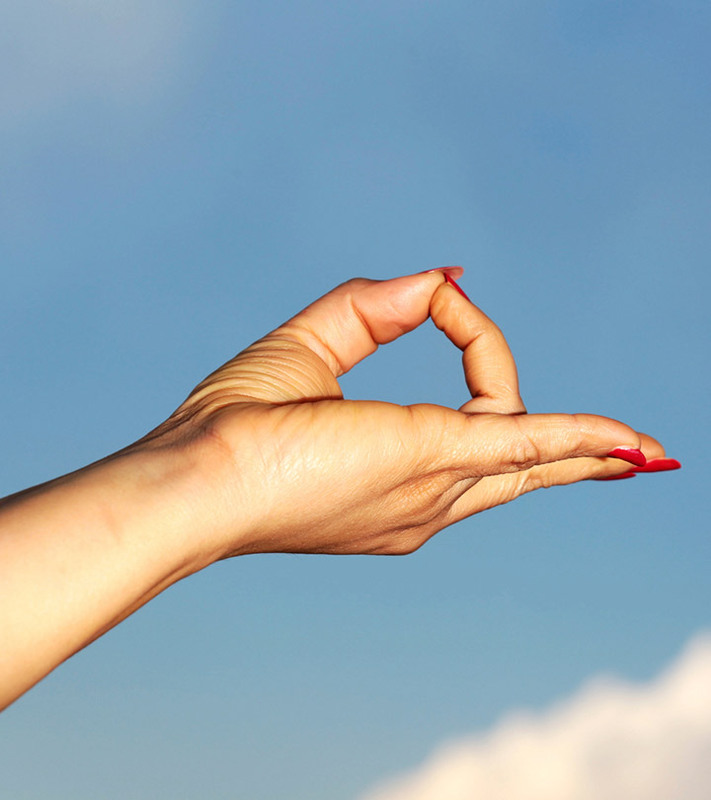 Three sets of this mudra every day will prove to be effective. 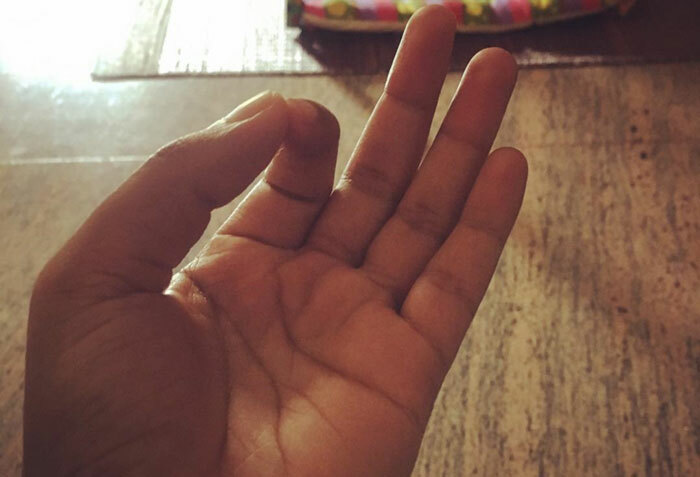 Another mudra for diabetes that instills purification, this is deemed the easiest Yoga Mudra. It balances out the elements within the body. This not only regulates the working of the body but also helps flush out unwanted toxins. 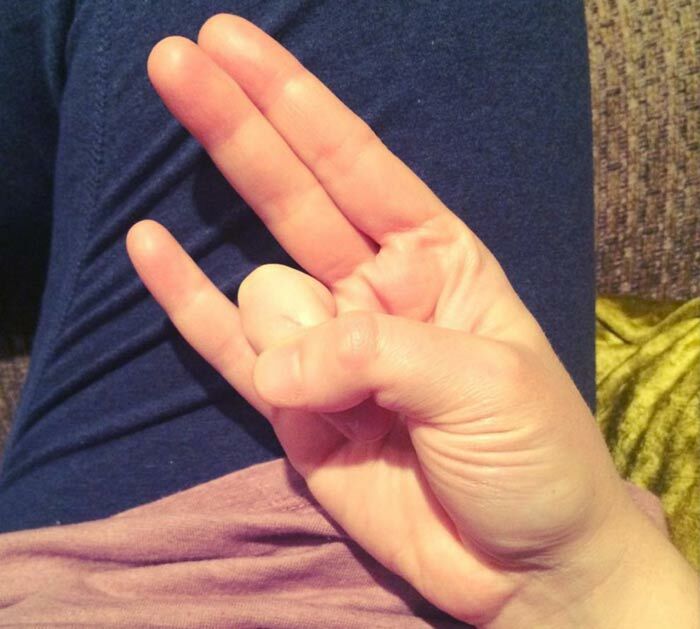 You tend to urinate a lot when you practice this mudra. This helps lower the blood sugar levels. This mudra can be practiced in a seated asana of your choice. You can practice it while standing as well. All you need to do is touch the tips of the ring finger and the middle finger to the tips of thumb. Ensure that the index and little fingers are kept straight. Hold as long as you are comfortable. Practice this mudra every day. Also known as Chin Mudra, this mudra instills a sense of deep relaxation. It helps you overcome stress and anxiety. You can assume a seated or standing asana of your choice. Make sure you are comfortable. Bend your index finger and ensure the tip of the index finger meets the tip of the thumb. The rest of the fingers must be straight. Close your eyes, breathe deeply and relax. 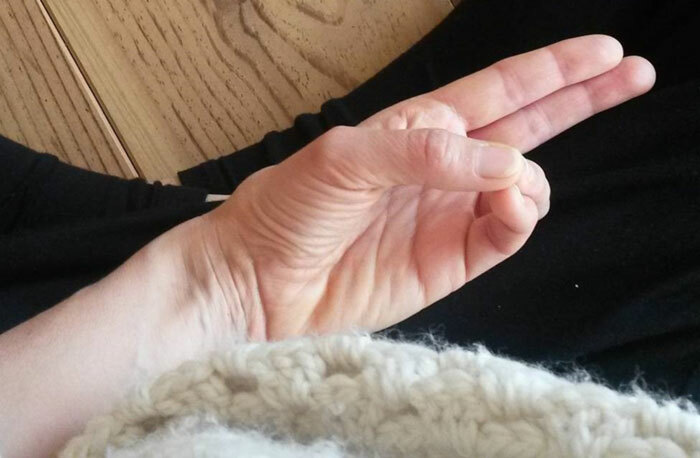 Practice this mudra whenever you feel stressed and under the weather. The Linga represents the male reproductive organ. This mudra stimulates the fire element in the body. It increases metabolism and helps you lose weight. Lower weight means stable blood sugar. This mudra can also be done either seated or standing. All you need to do is clasp your hands in front of you, making sure your fingers are intertwined. Point the thumb of your left hand upward, and lock it with the thumb of your right hand. Hold the mudra for as long as you are comfortable. Always consult a doctor before you practice yoga for an ailment. Do not practice these mudras immediately after a meal. Your body must have significant levels of glucose when you practice these mudras. 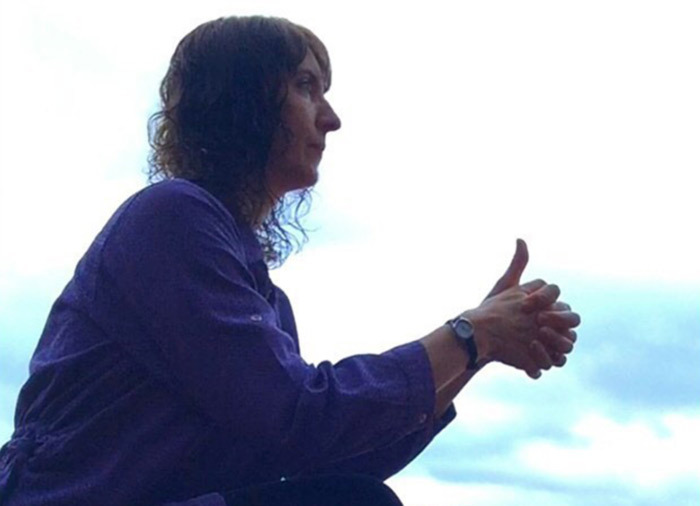 The best time to practice mudras is either early in the morning or mid-evening – typically sunrise or sunset. If yoga is new to you, make sure you practice both mudras and asanas under the guidance of a certified yoga instructor. It is easy to underestimate the power of the five fingers. Combining regular yoga routines with mudras and a better lifestyle can free you of any ailment, in this case, diabetes! 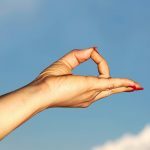 Have you ever tried any of these Yoga mudras for diabetes? How did it help you? Share with us by commenting below.